Puppy training and socialisation course. A 6 week course designed to assist and advise owners. For a list of the latest dates when our Foundation, Bronze, Silver, and Gold Gundog training courses will commence. Mullenscote Dogs on Tour dates are shortly to be published on the site, so watch this space. The prestigious Mullenscote Dog Training Centre offers bespoke training courses, including the Kennel Club Good Citizen Training Scheme Puppy and Bronze awards for all breeds of pet dogs. Howard Kirby leads the team at Mullenscote, along with his Training Ambassadors; one of which is Russell Hodges. They both agree that outside of the hugely popular gundog training courses they deliver, the foundation aspects of teaching a puppy to respond to commands & raising a well socialised puppy could be adapted for all breeds of pet dogs. Speaking to colleagues in the veterinary and pet industry they recognised the need to offer a wider and diverse training package to include pet dogs, and now have a fantastic purpose built facility to assist owners with the challenges of puppy handling and behavior issues. Mullenscote Dog Training Centre are now proud to offer the only indoor training facility specifically for companion dogs in the Andover and Salisbury district in association with the Kennel Club. Companion dog training is open to all breeds of dogs. Pet dog owner’s love and care for their pets without any expectation that the dog needs to work for living. They simply want a well behaved, well socialised dog that enhances the pleasure of being a pet dog owner. The puppy foundation and bronze KC GCDS are 5 week structured courses that are a fun group training experience that will provide the pet dog owner with the knowledge to develop their pet dog into a dog that is a pleasure to own, who is both obedient, and well socialised, but also increase the owners understanding of responsible dog ownership. Hosted inside the Play Barn; a relaxed, fun environment, owners can expect a gradual development of basic exercises and troubleshooting demonstrations of daily life situations. The scheme is non-competitive and emphasis is placed on the standard of achievement and delivered using unique training aids. Puppies attending the puppy foundation class must be between 12weeks and 6months of age. 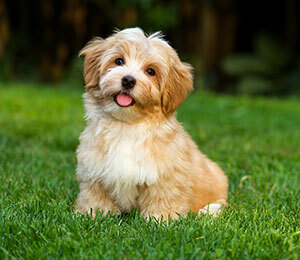 All puppies and dogs must be vaccinated. Call or email now to book your place on the course. The Mullenscote Enquiry office is open Monday-Friday from 9am-4pm. (Closed all Sundays and Bank Holidays).